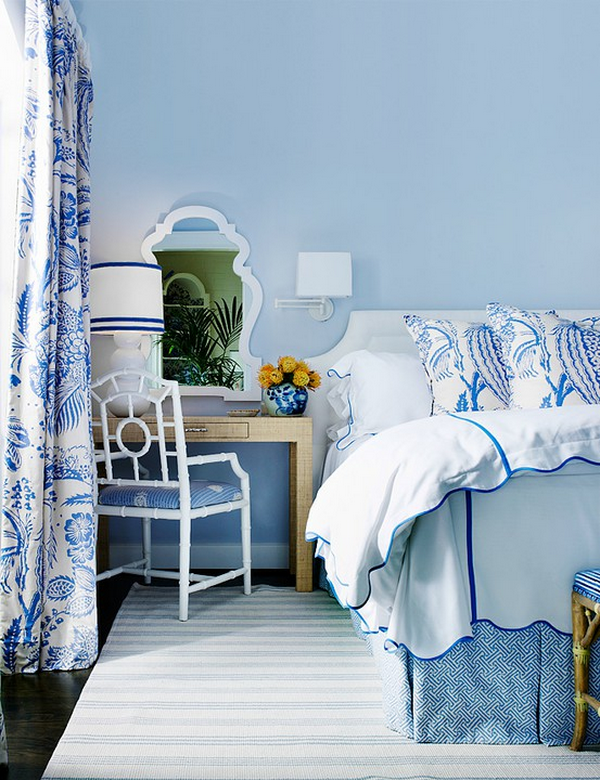 I want to be in the above space right this minute sipping coffe and perusing blogland on my iPad. 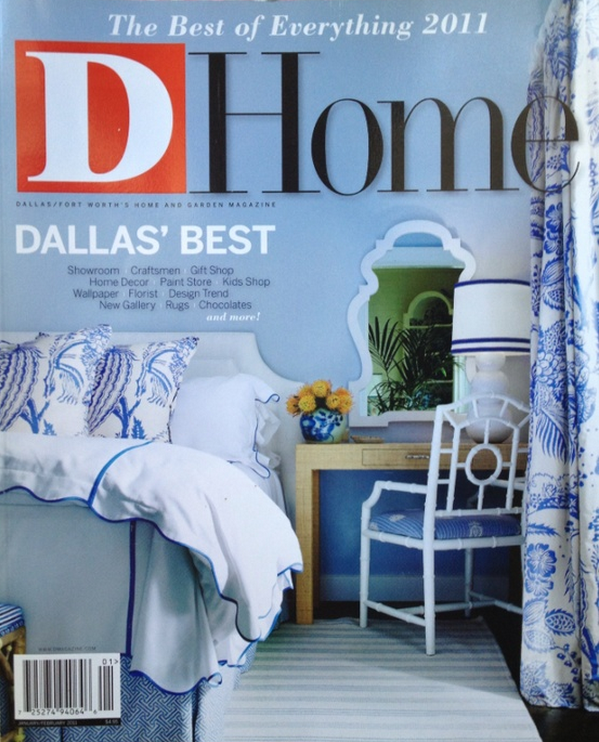 It's by Dallas designer Susan Palma whose Pinterest boards I stalk frequently. 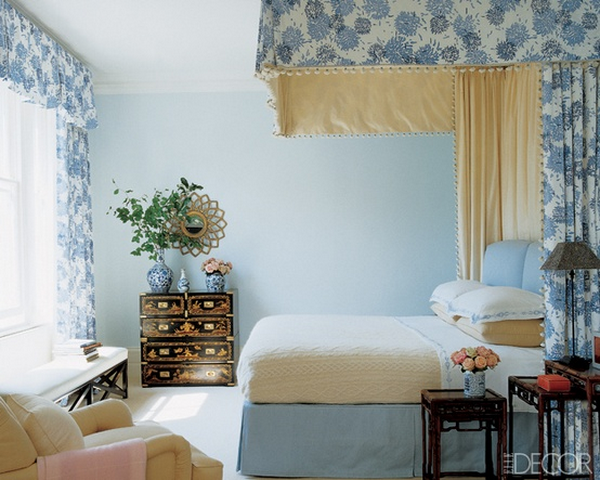 Below is a bedroom she designed that made the cover of D Home. I think it may be my favorite bedroom ever. 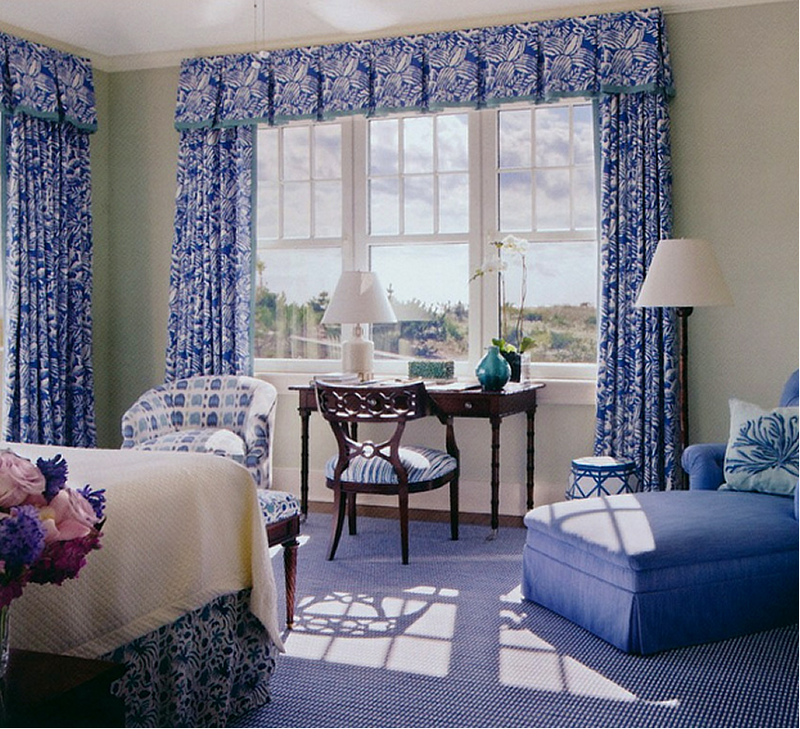 Here is a much better image. 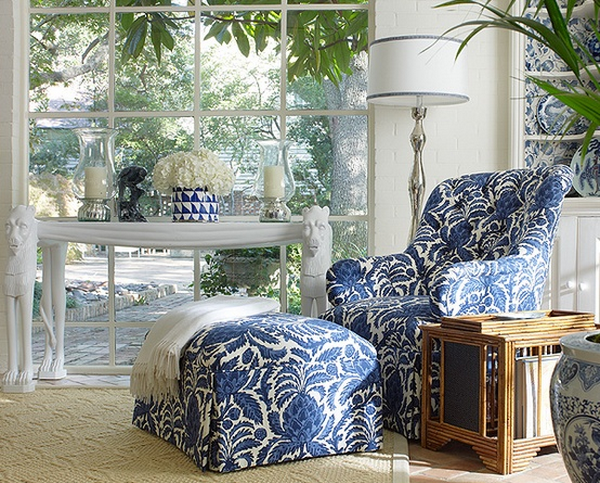 Oh my goodness, it's just so perfect. Another blue and white bedroom I love by Mark Hampton. 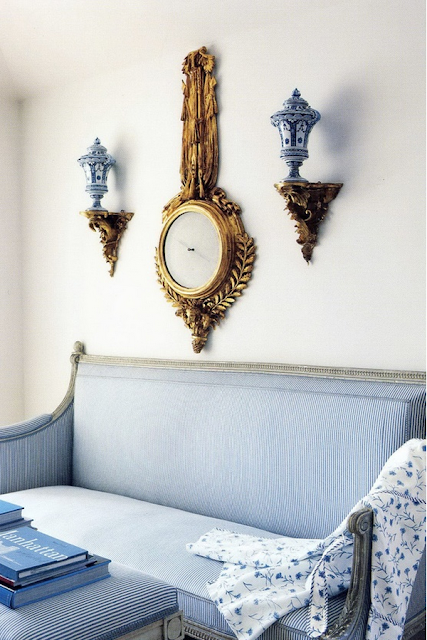 And another by Jeffrey Bilhuber via Elle Decor. 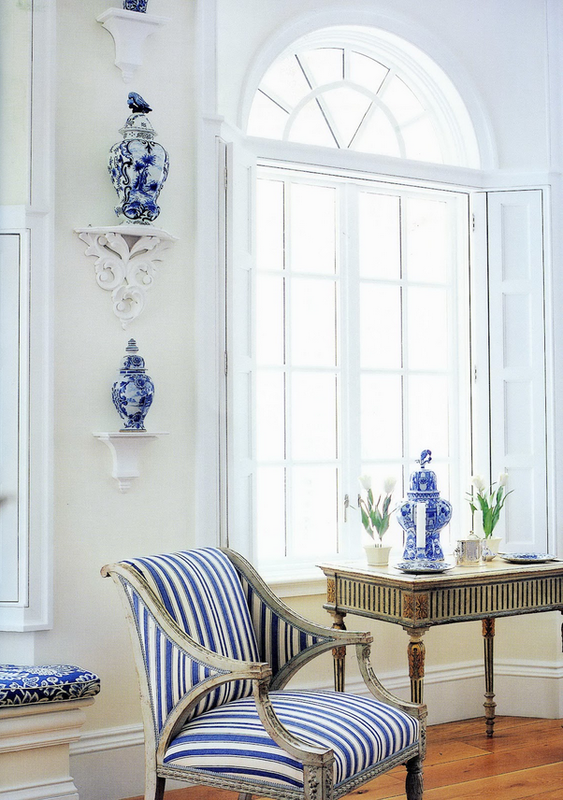 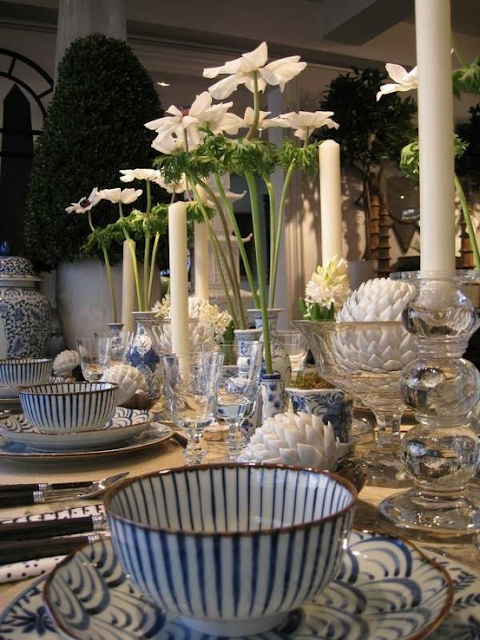 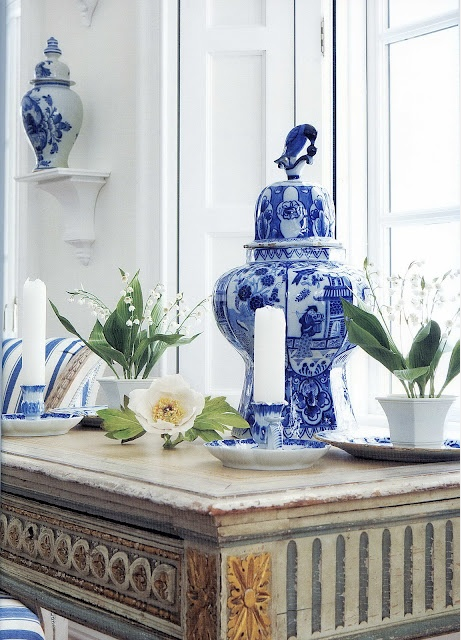 This, and the next two images, are beautiful Carolyne Roehm blue and white from A Passion for Interiors.